Blanche Calloway. From Cab’s autobiography. On February 9, 1902, 114 years ago to the day, Blanche Calloway came into this world. Her career is overshadowed by the fame of her brother, Cab Calloway, but she easily possessed just as much musical talent as her better known sibling. Here are two first-rate jazz songs in honor of Ms. Calloway. Born into a middle class family of Baltimore, Maryland, Blanche Calloway made her first professional appearance in the local production of Sissle and Blake’s Shuffle Along, against the wishes of her parents. Beginning in 1923, she toured in Plantation Days, starring Florence Mills, which wound her up in Chicago. Sometime during her time with Plantation Days, she was joined by her brother Cab. 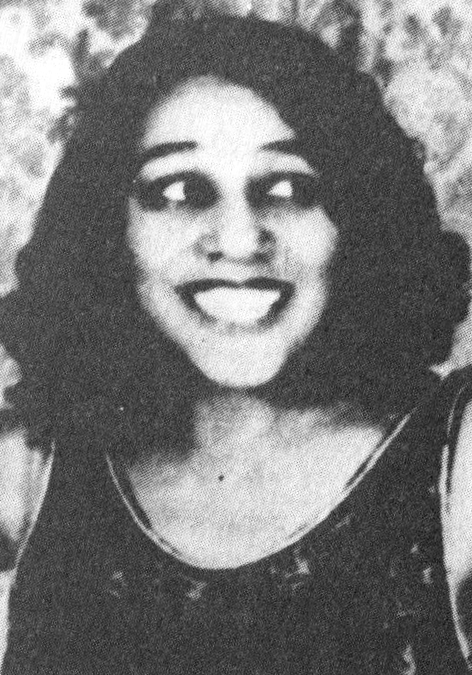 In 1925, Blanche made her recording debut on Okeh records, singing a pair of blues songs with accompaniment by Louis Armstrong and Richard M. Jones. Later in the 1920s, she recorded several songs with Ruben Reeves’ River Boys before joining Andy Kirk’s Twelve Clouds of Joy as a vocalist. After attempting and failing to take control of the Twelve Clouds of Joy (Andy would have none of that), Blanche formed her own band, the Joy Boys, with some of Kirk’s former band mates, and at times had in her ranks Ben Webster and Cozy Cole. The Joy Boys toured and recorded sporadically throughout the 1930s until she and a band member were arrested in Yazoo, Mississippi for using a whites-only restroom, and while incarcerated, another member of the band absconded with all the group’s money and hightailed it. After retiring from music in the late 1930s, Blanche went on to a variety of occupations, including founding a cosmetics company in the late 1960s. Blanche Calloway died of breast cancer on December 16, 1978, at the age of seventy-six. Victor 22641 was recorded March 2, 1931 in Camden, New Jersey, at Blanche Calloway’s first Victor session. The band is actually Andy Kirk’s Twelve Clouds of Joy under Blanche’s name, and consists of Harry Lawson, Edgar Battle, and Clarence E. Smith on trumpets, Floyd Brady on trombone, John Harrington on clarinet and alto sax, John Williams on alto sax, Lawrence Freeman on tenor sax, Mary Lou Williams on piano, Bill Dirvin on banjo, Andy Kirk on tuba, and Ben Thigpen on drums. Blanche Calloway of course provides the vocals on both sides. First, Blanche sings “There’s Rhythm in the River”, with Andy Kirk’s always excellent Twelve Clouds of Joy backing her. 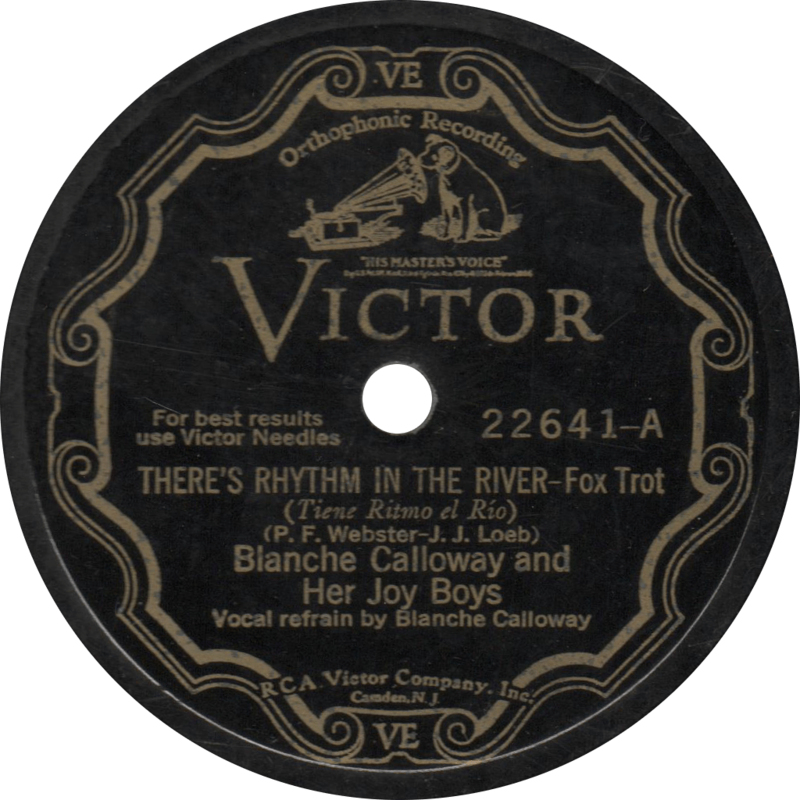 There’s Rhythm in the River, recorded March 2, 1931 by Blanche Calloway and her Joy Boys. On the flip she sings “I Need Lovin'”, with an even better performance by both Blanche and the band. Interestingly, this issue has the song incorrectly listed as “All I Need is Lovin'” though some labels show the correct title. 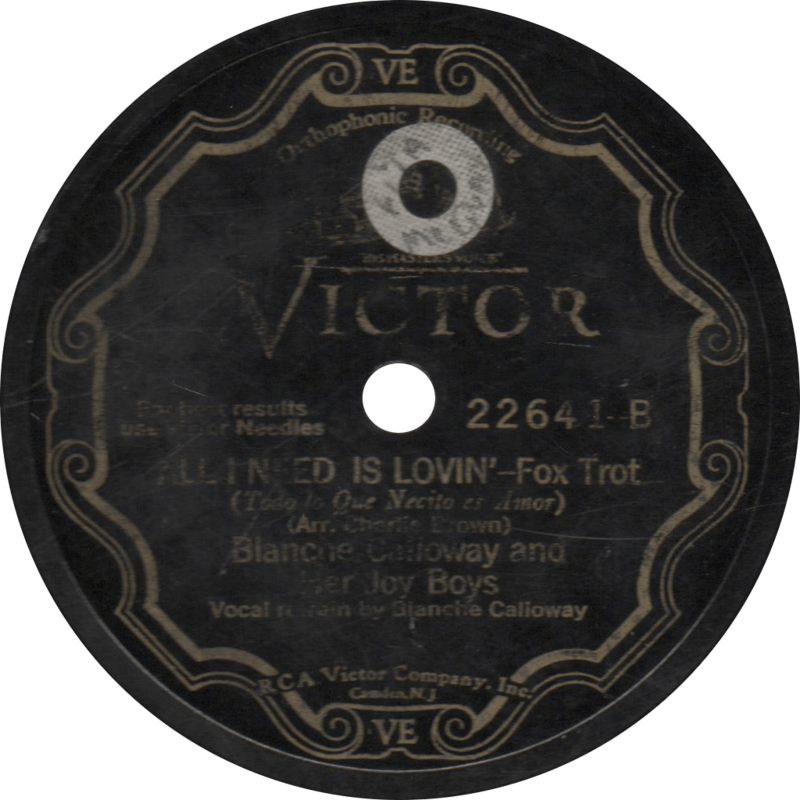 I Need Lovin’, recorded March 2, 1931 by Blanche Calloway and her Joy Boys. Stick out your cans! Here comes the garbage man!